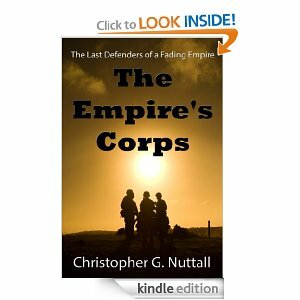 This week’s Indie Spotlight falls on Christopher Nuttall’s science fiction series, The Empire’s Corps. The battle to save the Empire starts here. Six months ago, Colonel Edward Stalker and his Marines were abandoned on Avalon, left to fend for themselves as the Empire withdrew from the Rim. Since then, Avalon has been isolated from the settled universe…until now. As a mysterious pirate organisation attempts to take over Avalon, the Marines find themselves struggling against a shadowy figure with dreams of power, while a young civilian is kidnapped and press-ganged into a pirate crew. They’re fighting to preserve something of the Empire’s order in the wake of its departure, but the pirates appear to have far greater resources and a plan that seems unstoppable. The Empire is gone. What will take its place? 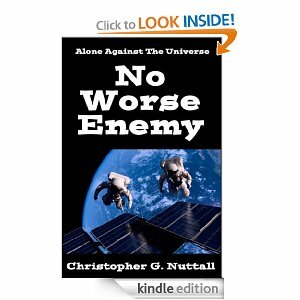 Both of these books, as well as other books by Christopher Nuttall, are available for the Kindle on Amazon.com. Learn more about Christopher and check out free samples of his work at The Chrishanger, and while you’re at it, be sure to check out Chris’s blog and Like his Facebook page!